With numerous machine learning algorithms to experiment with, this relatively simple graph can quickly help you shortlist a handful of algorithms. 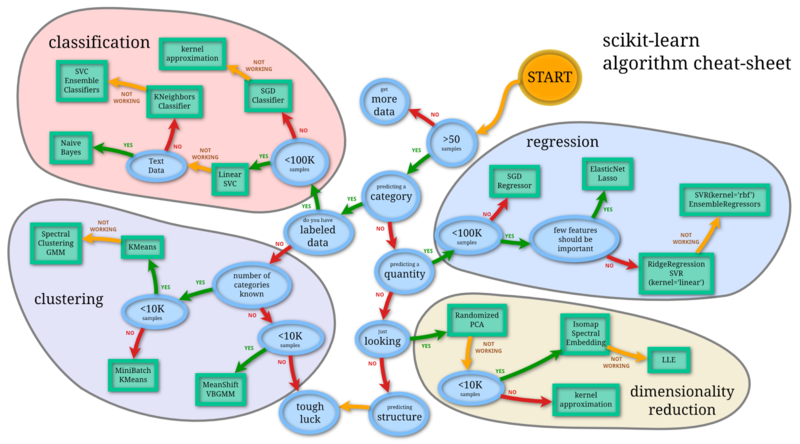 Any then you may give Scikit a try. Your graph is nice though some technics I never tried before. As I just learned AI for a short time, I wonder what is your reference AI book.